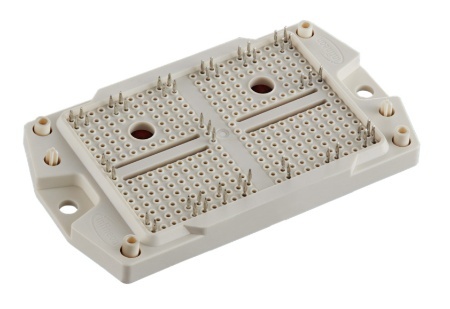 Infineon Technologies AG (FSE: IFX / OTCQX: IFNNY) has extended its Easy family to include a new package: Easy 3B. Together with the other Easy 1B and 2B packages, this comprises the broadest power module portfolio at 12 mm height without base plate. Easy 3B is the ideal platform to extend current inverter designs to achieve higher power without changing much on the mechanical side. At the same time, the new package inherits many of the advantages of the family portfolio such as the flexible pin-grid system, which is very important for customizing. The first module with the new package design is a 400 A, 3-level ANPC (advanced neutral point clamping) device aiming at 1500 V solar inverter applications. The Easy 3B package will be showcased at PCIM 2019.